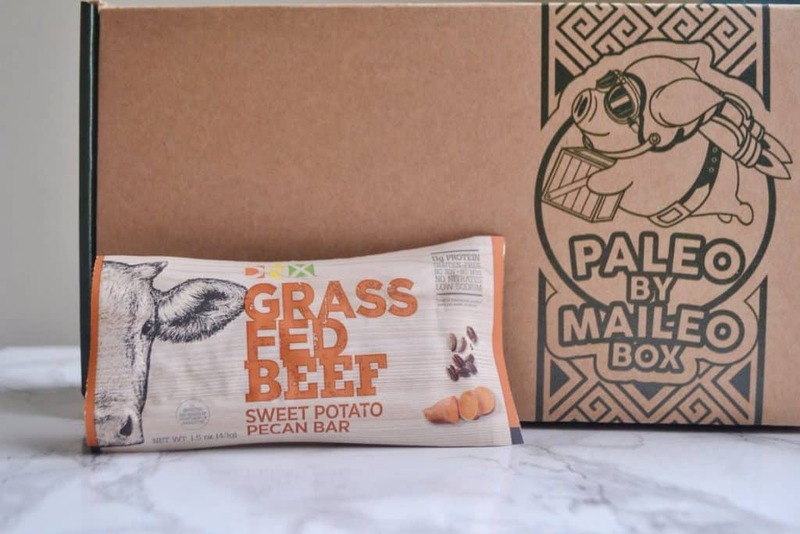 Paleo by Maileo is a subscription box that sends out 5-8 tasty Paleo snacks each month. Paleo is a diet that consists mainly of meat, fish, fruit, and vegetables; it cuts out processed foods, legumes, grains, and dairy. I personally have never followed a Paleo diet, but several of my friends are on it and have had amazing results! It is heart-healthy, can reverse insulin resistance, and builds autoimmunity. 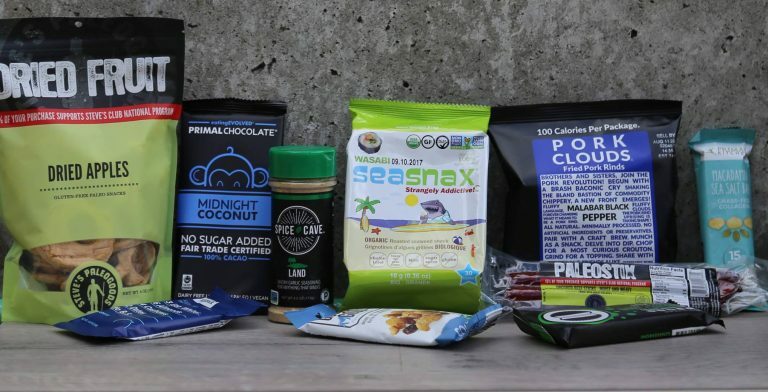 Save $5 off your first One Month Subscription with code SNACKATTACK. 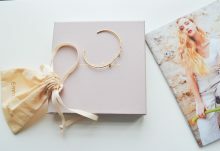 Shipping is included in the cost of boxes for U.S., and boxes ship to Canada for an additional $5. 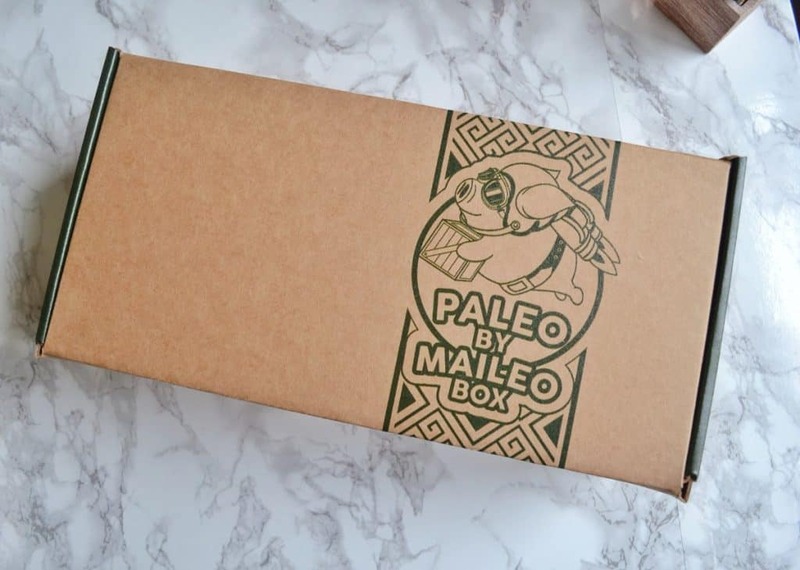 Today, I will be reviewing a Paleo by Maileo box that I received on March 1st. It came packaged in a sturdy cardboard box, with the logo printed on the top. I absolutely love the logo; it makes me smile whenever I see it. 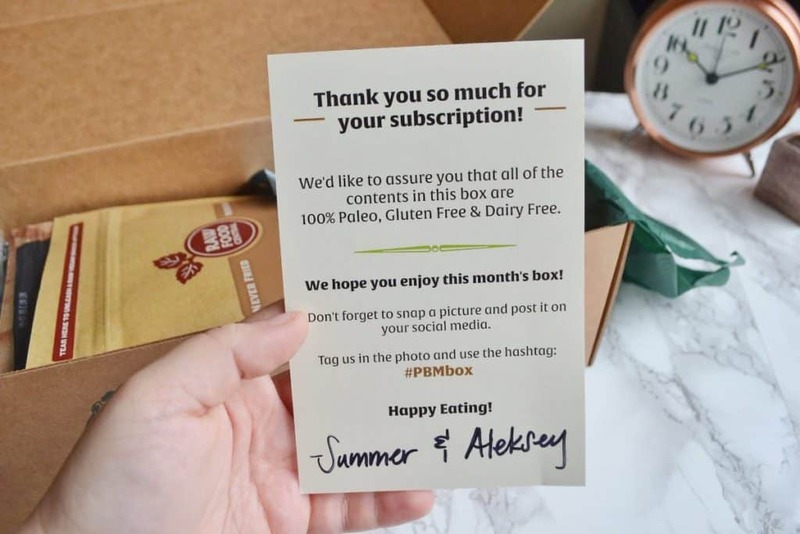 Inside the box was a signed note assuring me that all of the contents in the box are 100% paleo, gluten free, and dairy free. I think this is a thoughtful touch for anybody who has these dietary restrictions. All right, let’s dive right in! 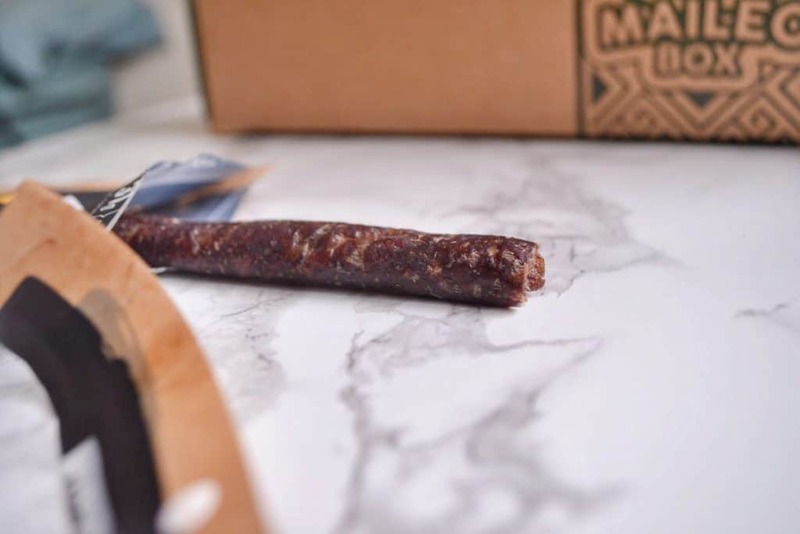 The first item I received was Droewors Air-Dried Beef Sticks, from the company Ayoba-Yo. 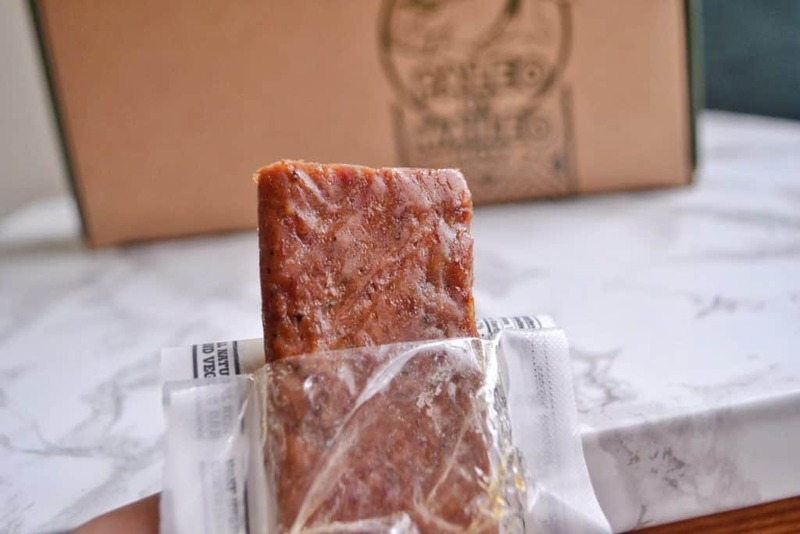 This is a family company, which was created to introduce the U.S. to South African style meats such as Biltong, Droewors, and Boerewors. I have had Biltong, but this was my first time trying Droewors. It is made by grinding meat with coriander, cloves, salt and pepper. Then, it’s stuffed into a natural casing, and air-dried for five days. 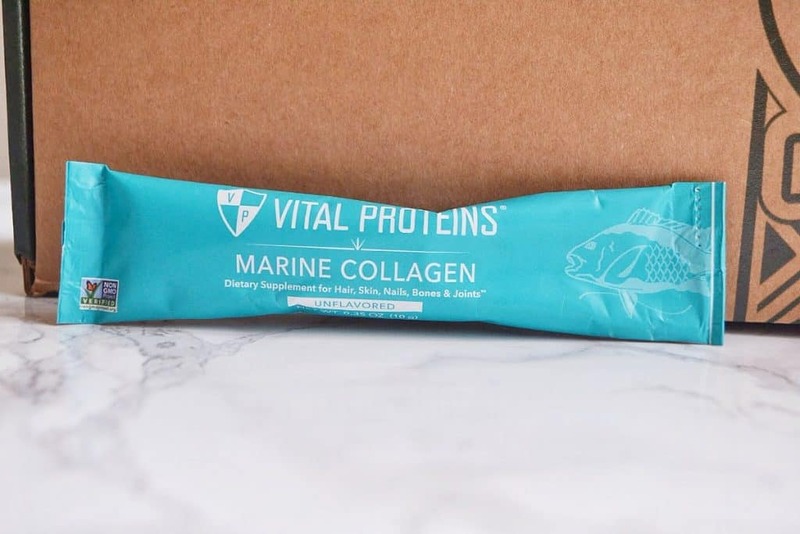 The taste is unlike any jerky I’ve ever had; it has a strong coriander flavor, which works beautifully with the clove. I usually don’t like jerky, because its taste and smell reminds me of dog food. However, the Droewors was delightful! This was a 2 oz package, which is worth $7.99. The next item I received was Soul Sprout Cinnamon-ilicous Almond Butter Truffles. 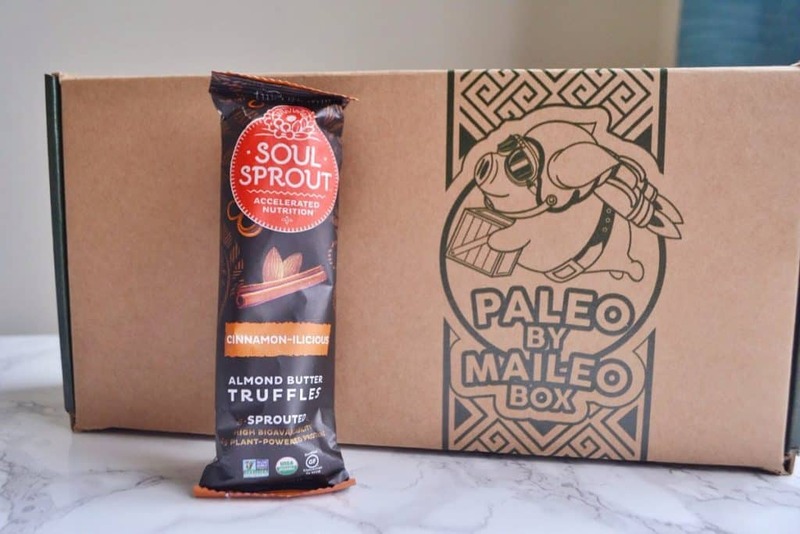 Soul Sprout begins the process by sprouting nuts and seeds, which unlocks their nutrient potential, and helps your body break down food more efficiently. 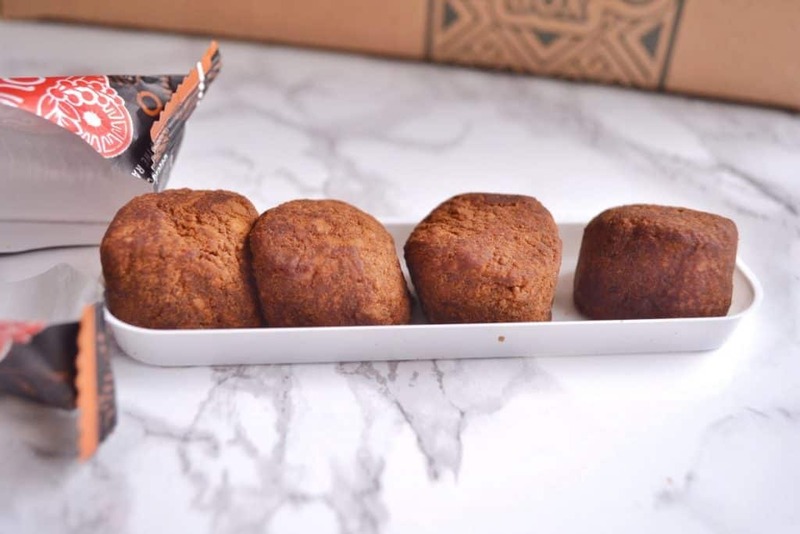 A serving contains 4g of protein, 3g of fiber, and are organic, vegan, kosher, and loaded with antioxidants. The cinnamon flavor of the truffle was insane. It was delicious, rich, and every bite was good for my body. Truly the best kind of snack! This was a 2 oz packet, worth approximately $5.02. These are sold in packs of 6 for $30.13. 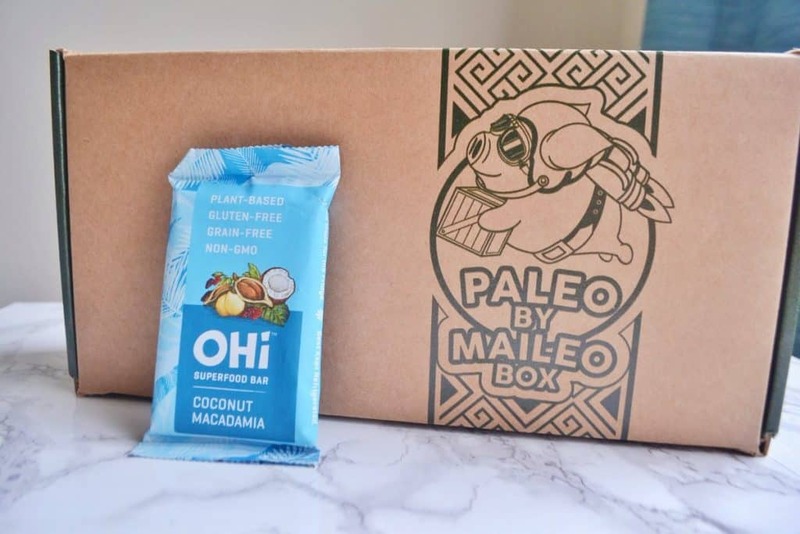 I also received an OHi Coconut Macadamia Superfood Bar, which is plant-based, gluten-free, grain-free, and Non-GMO. It came with a sticker attached that said to keep it in the fridge, which I did immediately after recieving the box. However, when I tried it a couple days later it seemed to have gone rancid. It smelled and tasted like rubbing alcohol. I even had my boyfriend try it, and he agreed with me. I think it may have gone bad during shipment. I could only eat one bite of it, so I don’t think I can accurately judge the bar. This is a 1.8 oz bar, worth approximately $3.12. These are sold in packs of 8 for $24.99. 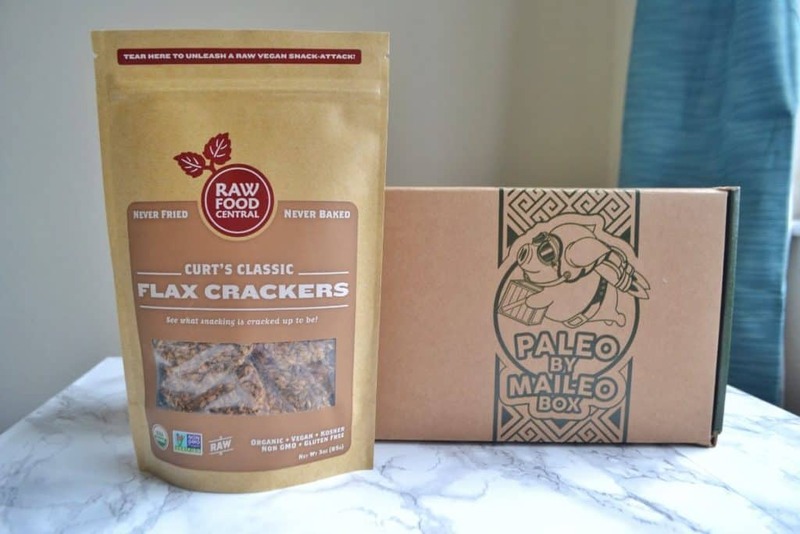 My next item is Curt’s Classic Flax Crackers, from Raw Food Central. 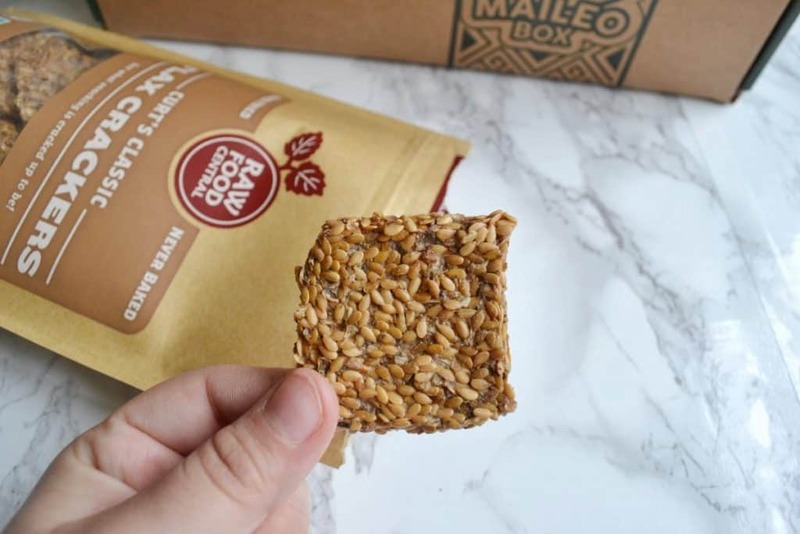 These are crispy crackers made from flax seeds, which contain EFA’s, amino acids, and protein. It is flavored with Italian seasoning, onions, and sea salt. Flax seeds really pack a protein punch, and I used to blend them in my smoothies when I was vegetarian. This is another enjoyable way to eat them! Their flavor is pretty strong, so I would recommend pairing it with some sort of dip like salsa or guacamole. 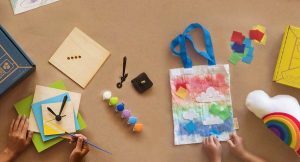 This is a 3 ox bag, which is worth $6.99. Next is my boyfriend’s favorite item: the Grass Fed Beef Sweet Potato Pecan Bar! I liked this as well, but he loved it. 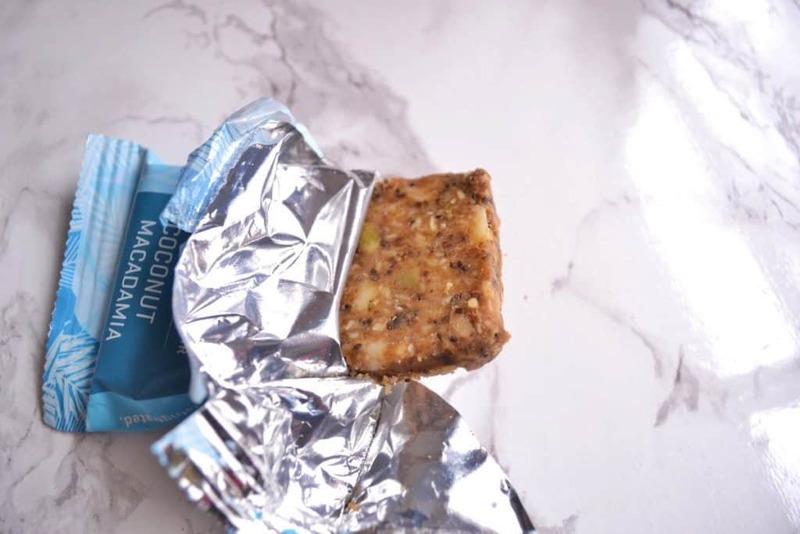 The sweet potatoes and pecans used in the bar are 100% organic, and the bar contains a whopping 10g of protein! It is soft, sweet, and only tastes slightly like beef. 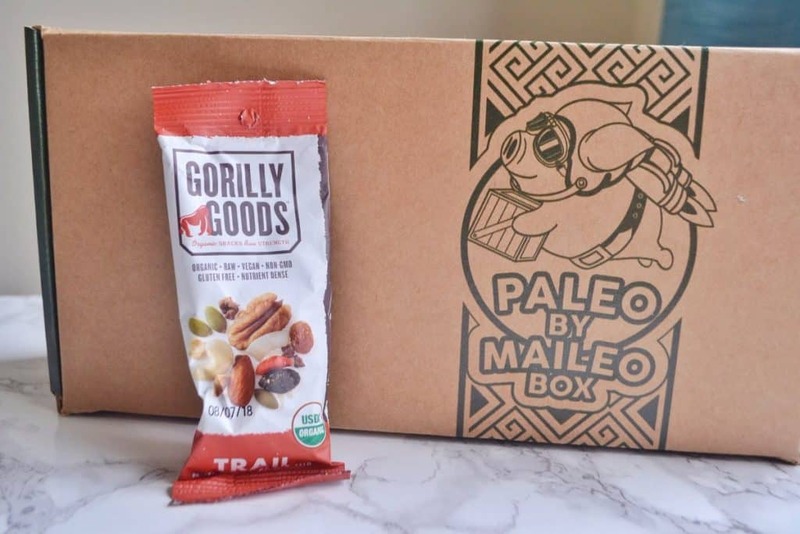 I also received Gorilly Goods Trail Mix, which mostly consists of sprouted nuts, Goji berries, and cacao nibs. It also contains raisins, coconut, pineapple, and sea salt. I spent some time looking through the Gorilly Goods website, and they have 3 other kinds of mix besides trail: hillside, coast, and baja. 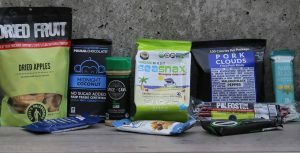 I really enjoyed the trail mix, and I would love to try out some of the other mixes! This is a 1.3 oz packet, which costs approximately $2.79. It is sold in a box of 12 for $33.48. This is a .35 oz packet, which is worth approximately $2.40. This is sold in packs of 20 for $48. 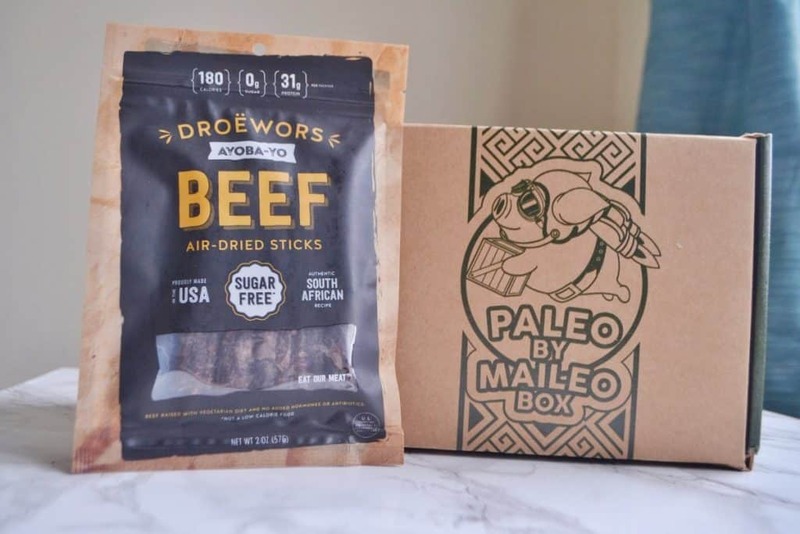 I had such a fun time trying out these Paleo snacks, and I really enjoyed the Droewors and the almond butter truffles. 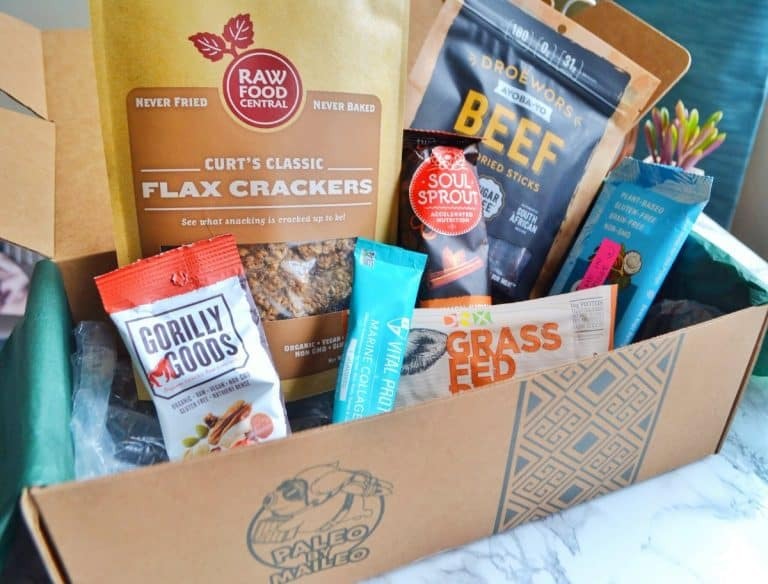 I think this is an awesome box for somebody who follows the Paleo lifestyle, and wants to discover new snacks. Keep reading for my final verdict! I really enjoyed most of the snacks, except for the OHi bar which had seemed to go bad in shipment. The snacks were varied, and high-quality. 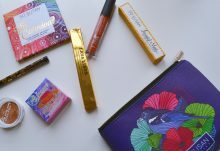 The overall value of the box was $31, and the subscription cost is $39 which includes shipping. 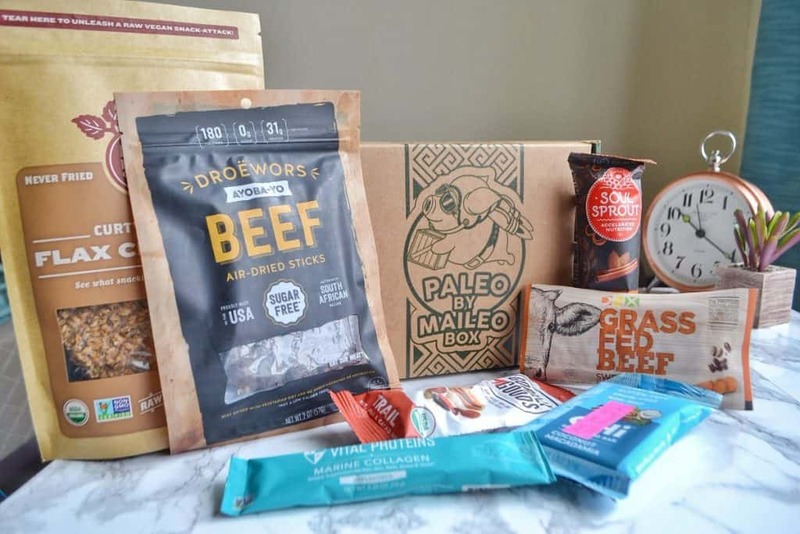 How would you rate Paleo By Maileo ?